Nearly all series D1 Football prospects have and use a Twitter account as part of the recruiting process. But there are far too many who are spinning their wheels, using Twitter in a way that is not effective but simply sucking their time. Don’t be one of those prospects. 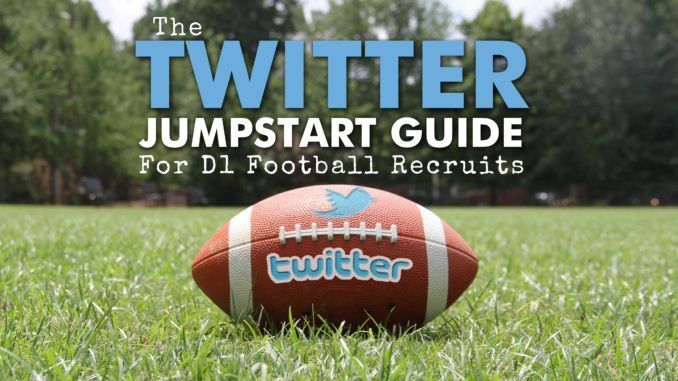 This Twitter Jumpstart Guide will put you on the right path to effectively using Twitter to get more and better exposure so that you can land your dream D1 Football scholarship. Remember that your profile (including your bio) is the part of your Twitter feed that is most seen by viewers, and the first place coaches look to find your measurables and highlights. Use that to your advantage—post those things that will make you easier to find and that showcase your skills and attributes. And leave off everything else. Too many recruits go overboard with their Twitter profiles. There are a few essential things that you should include—make sure you list those things and nothing else because anything else will distract from these key ingredients to a great profile. Twitter handle: it doesn’t really matter what it is as long as it isn’t offensive. Most recruits put some combination of their name and something footbally. Remember, you’ll likely have this Twitter handle for a while, so don’t use something that will change or date you (e.g. your football number, your graduating high school class). Your name: You can list anything as your “name”—but you shouldn’t. Just use your name—that will make you easier to find in search. Don’t use a nickname because while that might be how most people know you it isn’t how prospective coaches know you. Also, make it look professional. “Trevor Brown” is better than “trevorbrown”. No need for emoticons, pictures, symbols, numbers, etc. JUST YOUR NAME will do. The name of your high school. To save space you can shorten “High School” to “HS”. Your graduating class. You can write this as “Class of 2020”, shorten it to “c/o 2020”, or shorten it even further to “c/o ‘20”. Any of those options will work. Your position. If you play more than two positions you can put “Athlete” or “ATH”, otherwise just put the one or two primary positions you play (e.g. TE/OLB). Noteworthy measurables. This is not a required element of your profile but can be really helpful if you have something noteworthy to list. If you are undersized (or not the right sized) than just skip it. But if you’re a sophomore tight end that is already 6-foot-3 240 pounds but better believe coaches want to know that. You can abbreviate or shorten that to 6’3” 240. Noteworthy football accomplishments. Same goes for accomplishments—you only want to list these if it is something that will make it more likely for you to get a D1 scholarship. So if your GPA o.k. but not great (e.g. 3.1) than just leave it off. But if you won a significant award (e.g. 6A All-State First-Team) then feel free to put it one. Pick your top one or two accomplishments, you don’t have room for them all. Quotes, mottos, phrases, scriptures. You can include these but don’t need to and in some cases shouldn’t. Common things that recruits list in their profiles are things like “Work hard and no regrets”, “Nothing is Given”, “Obsessed with Greatness”, “John 3:16”, “Philippians 4:13”, “Savage”, “Low life”, etc. If it can be misinterpreted (like “savage” and “low life”) I’m of the opinion you should leave it off. Anything else. Not necessary, go ahead and leave it off. That bio only uses 85 characters, well under the 160 character limit. 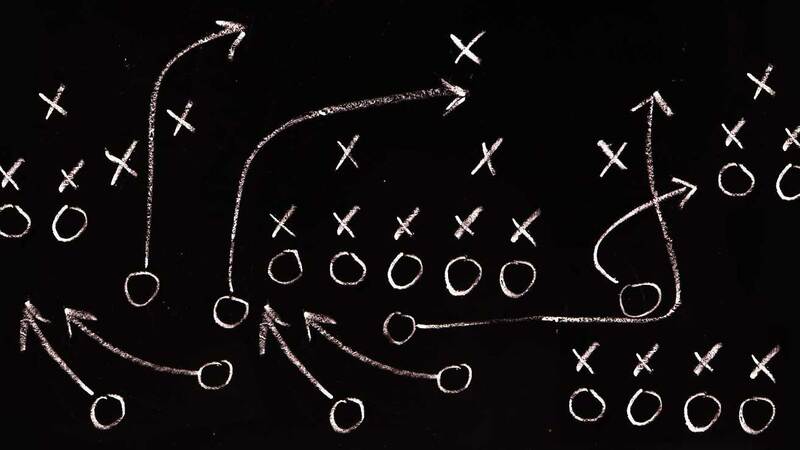 Which is fine—it means that prospective recruiting coordinators and coaches are finding the right things without getting bogged down with the unnecessaries. It’s also professional. Creating an effective Twitter profile isn’t that complicated, but a good bio can make a big difference. Do the things I’ve mentioned and your profile will stand out for the right reasons and you’ll be easier to find and put on a professional front. As a high school recruit it is not essential that you have tons of followers, but you should have some or potential coaches will feel unsure whether or not your account is active and being used for communication. Start by following your friends and other football players that you know and/or want to follow. Many of these kinds of followers (family, friends, and acquaintances) will follow you back which will legitimize your profile. Most recruits follow anywhere from 100-1000 people and typically have about half of those following back. That looks fine and is good enough to make yours look like a legit profile. However, if you want to be seen as a Twitter superstar there are a few things that you can do. The first is to be super awesome and Tweet cool things. If you are engaging on Twitter people will want to follow you and you’ll gain an audience. Having a large audience can make you feel good, but don’t get sucked into trying to become “internet famous”—it’s just not worth it. Twitter shouldn’t take much of your time—a few minutes a day, tops. So don’t get too caught up in Tweeting all the time, following everyone in the universe, etc. Remember that Twitter can work for you but you shouldn’t be working for it (spending too much time there). Your following will naturally grow as you post your football accomplishments and other things that are of interest to your followers. That said, you will be more highly recruited if you have a few key followers that have influence that can retweet your highlights and notable accomplishments. If you’re not already a football superstar it can be difficult to get coaches, recruiting coordinators, and analysts to follow you. Look for influencers that follow roughly the same number of people who follow them. This is typically an indicator that they “follow back” anyone who follows them. Using the follow back method you’re bound to grow your following, but it won’t necessarily help you grow your audience and get the right exposure in the long-run. To that you need to create relationships. Post in their Twitter timelines. You can do this by responding with comments to things they post, liking and retweeting their posts, etc. Post about them in your timeline. If you have a post relevant to that coach or football program go ahead and tag them by adding the @their_name somewhere in your post. If you post to and about people enough times, trust me—they will notice. This is a great way to get onto someone’s radar and combine that will doing incredible things on-the-field and there is a good chance that at some point these influencers will either follow or tweet to and about you. There are far too many student athletes that have ruined their opportunities to play D1 ball at particular schools because of what they have posted online. Don’t jeopardize your scholarship by posting stupid things online. The following “don’ts” might seem like common sense, but you’d be surprised how often I see student-athletes post these kinds of things on their Twitter feeds. Don’t be negative. There is no need to say anything bad about teams you’ve played (even your rivals), ratings services that haven’t rated you or given you enough stars, coaches that have passed on you, etc. Focus on your accomplishments and the good parts of your life. Don’t use racial or sexist slurs. Again, this one seems obvious but there might be things that you say with your friends that you may not even know can be misinterpreted. This has actually happened to me in publishing interviews with athletes from cultures different from my own (I thought calling someone “articulate” was a compliment, not that it had white supremacy overtones). Be o.k. with accepting feedback and making changes to the way to speak and post. Avoid being too political. It’s o.k. to have opinions—even opposing ones—but you have to be careful with sensitive topics because people are easily offended. Don’t post about injuries. You want coaches and recruiters to see the best you—which includes the healthiest you. If you are talking about your injuries it may arouse doubts about your long-term health and scare recruiters off. Stay away from anything that is degrading to women, reference drug use, illegal behavior, or is connected to cyberbullying. This is the easiest way to get coaches to run away and/or to lose any scholarship offers you already have. So most of these “don’ts” should sound like common sense, but that doesn’t mean they are adhered to by all recruits. Make sure you are one that avoids them like the plague so that coaches have no reason to overlook or dismiss you. Character matters. Also, don’t retweet other people who say stupid things—even if it is to disagree with or point out the stupidity of those posts. If you do retweet them then they show up on your Twitter feed and a casual reader of your feed may think that you wrote or endorse them. It’s not worth the risk. That is a whole heap of things not to post—so what should you post on your Twitter feed? Most of the things kids your age post are just fine. It’s great to share what’s happening in your life and the things that are exciting to you. Post any new highlight reel that you have. You don’t need to post highlights from individual games, but you should definitely be posting your reel for the year at the end of each season (probably sometime in late November or early December). Recruiters will be looking for them at this time of the year. Post any awards or recognition you receive. When an article is written about you or you do an interview for the local news you should definitely post. When you’re named to the All-District team you should post. When you score four touchdowns in a game you should post. Get the idea? Post any scholarship offers you receive. Take advantage of offers to tag the team, school, and coaches, and to show some class by expressing appreciation. These are probably the most valuable posts on your Twitter feed. Give advance warning on any announcements you make. If you’re a top recruit and you’re going to narrow your list to a “Top 5” make sure to let your audience know in advance. Tag each school that has recruited you and let them know when the announcement is coming. Fans love to post in response to announcements and it is a good opportunity to generate buzz regarding your recruitment. This is especially true for when you announce your commitment to a school. Show your support for teammates, friends, and even players and coaches you follow. When you retweet and post support for your friends it shows what kind of a teammate you are. This often goes unnoticed by fans, but coaches notice how you support others. When all is said and done, don’t forget to be a kid. It’s o.k. to post about things that are important to you. Just post the football stuff too. Now that I’ve told you all the great things you can (and should) post, let me give you a word of warning. Coaches and recruiting coordinators are wary of student-athletes who are posting 10-20 times a day and seem to be prioritizing becoming internet famous. If you are posting that often it is logical to conclude that you’re not spending that time working on football, school, or on meaningful relationships. Another negative result of posting too frequently is that your posts that matter (those outlined in the previous section) get lost in the tidal wave of post after post. It should be easy to scroll through your twitter feed and find the posts that matter, but that isn’t possible if you have 10,000 posts. Once you have set up an effective profile, posted all your football highlights, and become friends and followers with those who matter it is time to ask. This is one of the trickiest parts of using Twitter for your recruitment, but it will bring the biggest rewards. Simply putting a post on your Twitter feed can most your recruiting forward, but having friends and family promote that post by liking and retweeting it will give it much greater impact. And if you can get collegiate players and coaches to read, like, and retweet your posts it will have ten to one hundred times the impact of a normal post. The secret is to not ask strangers to like and repost your Tweets. Instead, ask those that you have been following for a while. Ask those who you regularly like, comment on, and retweet. I can speak (write) from personal experience that I am much MUCH more likely to like and share a tweet from 1) someone who follows me, and 2) someone who likes and shares my tweets. I get several requests every day to retweet but I almost always ignore those requests. However, I almost always retweet the posts from recruits that regularly like and retweet my posts. Indeed, I often seek their Twitter accounts out and like and retweet their posts without them having to ask. It’s the “you scratch my back and I’ll scratch yours” approach to Twitter. And it absolutely works. Do the seven things I’ve outlined in this jumpstart guide and you’ll find much greater success as you use Twitter as a recruiting tool. Social media is constantly changing and Twitter might not even be around in a year or two, but the principles taught here will apply to any online and social marketing of yourself. Remember that you are a brand and you need to represent yourself in a professional way online. If you are interested in more Twitter tips or other strategies for increasing your success in recruitment, be on the lookout for my upcoming book “How to Earn a D1 Football Scholarship.” You can sign up to be notified of its release by clicking in the form below.